James Bond now has his very own Skyfall themed train! If you’re a big James Bond fan then you’ll want to travel to Scotland a lot more! There is a brand new Skyfall themed train that travels between London and Edinburgh, just like James Bond did in the film. 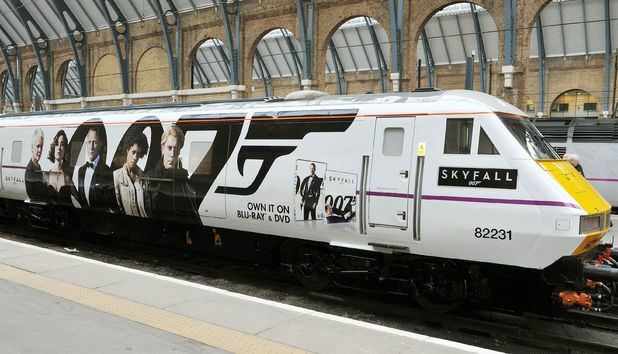 The train was made to celebrate the release of the new Bond flick on DVD and we think it looks awesome. Bond girl Naomie Harris turned up to be one of the first to travel on this cool new spy train. Looks pretty cool right? Now we just need to find a reason to go to Scotland!